I always loved those battery powered piggy banks that grab your money. Most of the ones I’ve seen have a cat with a paw that sticks out and fetches your coins. But this is the best version yet, with Godzilla and his mighty claws standing in for kitty. 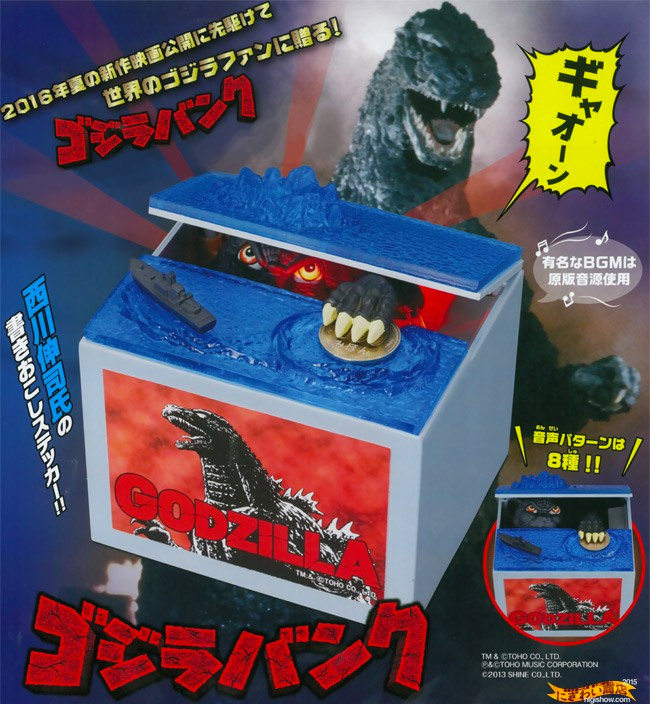 Simply place your coin on the surface of the water, and Godzilla will peer out, and grab your money for safekeeping. The bank makes some great Godzilla sound effects too, and lights up with an eerie red glow. Japan Trend Shop says the bank is designed for 500-yen Japanese coins, but other similar sized coins should work too. If you happen to live in Japan, you can grab on for just ¥2750 from Nigiwai-Showten.